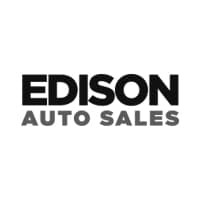 Welcome to Edison Auto Sales North at 72 Edmund Street in Edison, NJ 08817. Located just off of Route 1 North, we are just minutes away from the NJ Turnpike and Garden State Parkway right in Middlesex County New Jersey. Edison Auto Sales North specializes in helping customers get into an affordable car payment with a LOW DOWN PAYMENT. No credit, Bad credit, bankruptcy? We can help you just like we’ve helped thousands of satisfied customers. We can give you an easy and affordable car loan with low payments! Edison Auto Sales North gets you approved with our own in-house car financing program. No outside banks, no application fees. Let us show you why we are NJ’s BEST BUY HERE PAY HERE Used Car Dealership!Our inventory is available online here 24 hours a day. Feel free to view all of our pre-owned used cars and trucks. Edison Auto Sales North, has a large selection of luxury imports used car and trucks. From that sleek BMW X5 to the FAST and THE FURIOUS type of turbo coupes… We offer Hondas and Toyotas for as little as $50 a week! Stick shift Acura’s and fuel efficient MINI’s at very low weekly or bi-weekly payment programs! We are NJ’s top BHPH in-house finance car dealer and we make it easy to get a car loan! As always, all of our used cars, trucks or SUV’s come with a free warranty! Apply for financing here with our secure online credit application. If you’re tired of driving around in an old clunker and looking for a new car, then trade in your car here for something more dependable, more reliable, and more efficient. Look through our inventory. If you have a question, feel free to call us. (848) 209-9927 or send us a message and we will promptly respond. Contamos con un personal amigable y bilingüe para ayudarle a obtener un préstamo de coche. Pregunte por Paco o Issac y usted estará en camino a un asequible, credito para compra de auto. Edison Auto Sales North es un distribuidor de autos de compra aqui, paga aqui, y podemos ayudarle hoy. Adquiera un auto o soy. Le ayudan a adquirirlo al major precio no credito na hay problema.